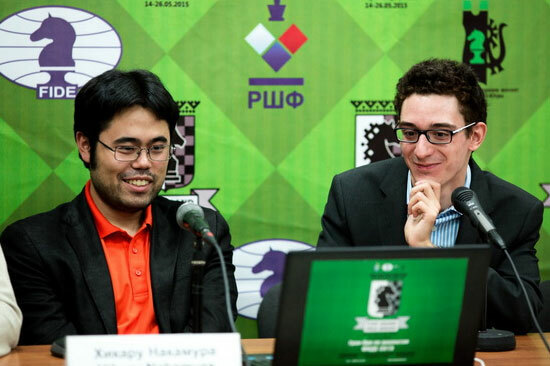 Chess grandmasters Hikaru Nakamura and Faiano Caruana, two of the new pillars of American chess. FIDE GRAND PRIX. 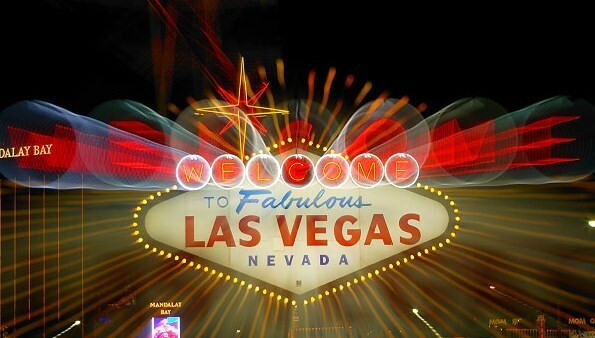 LAS VEGAS – With three players among the world’s Top 10, experts predict a renaissance of American chess, perhaps like in the 1930s when American players dominated the game. Fabiano Caruana, Hikaru Nakamura and Wesley So provide the U.S. a realistic shot at the gold medal in the chess Olympiad in 2016 in Baku, Azerbaijan, which Americans won for the last time in Israel in 1976. The Soviet Union and other countries boycotted that Olympiad in Haifa for political reasons, and the U.S. came close to winning only one time after that – in 1998 when it won the silver in Elista, Russia. China is the new king of the block after winning the last Olympiad in 2014 in Tromso, Narway, but the Americans are coming in force. The arrival of the 22-year-old Caruana, an Italian-American, gives the U.S. more than an even chance. Rated No. 2 in the world in live ranking with 2805 points, behind only world champion Magnus Carlsen of Norway, with 2876 points, the hard-charging Caruana will be a strong anchor of the U.S. Olympic team. The 27-year-old Nakamura, rated No.4 in the world in live ratings with 2802 points, qualified for the Candidates Matches that will select the challenger to Carlsen in 2016 with a second-place finish in the Khanty-Mansiyk Grand Prix. 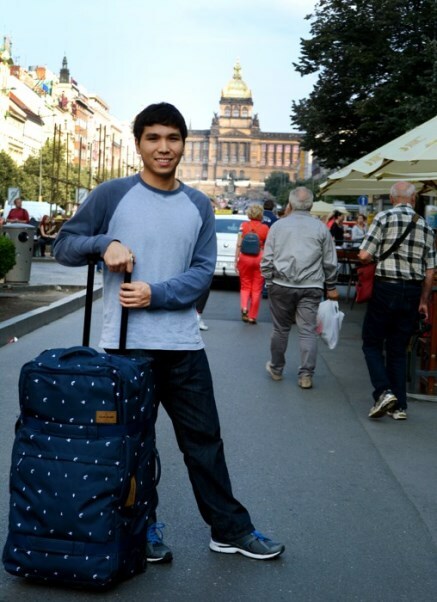 The 21-year-old So, who joined the U.S. Chess Federation in October, 2014, is currently rated No. 10 in live ranking, with 2775.9, and currently playing a four-game series with Czech GM David Navara in Prague. Expected to back up Caruana, Nakamura and So are young and experienced grandmasters, including Ray Robson, 20, former teammate of So’s in the Webster University chess team. Also expected to join the team are 23-year-old GM Sam Shankland and the old reliable, 39-year-old Alex Onischuk. More importantly, the team is expected to receive full support from Rex Sinquefield, considered the godfather of American chess, and the benefactor of the Chess Club and Scholastic Center of Saint Louis. Americans captured the Olympiad gold in Prague (1931), Folkestone (1933), Warsaw (1935) and Stockholm (1935). In all these competitions, the great Frank Marshall participated to be considered perhaps the greatest American Olympic player. In the 1960s, Bobby Fischer came into the chess scene and helped the U.S. win the silver in 1960 and 1966. In 1998, the Americans also won the silver in Elista, Russia, according to Wikepedia.